The experienced Birmingham eviction attorneys at Cloud Willis & Ellis will assist and represent you in complying with all applicable laws and procedures when evictions become necessary. Additionally, we will vigorously pursue collection of related delinquencies, including pre-eviction and post-eviction collection and judgments. Evictions must strictly comply with established laws in order to be legal and insure protection of the landlord. Our attorneys will assist you with navigating through this process, whether simple or complex. We will prepare and file the necessary documents to insure a valid eviction, including, if necessary, the filing of the unlawful detainer action. 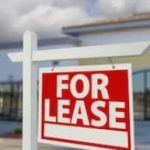 The best practice to minimize your risk and financial exposure is to insure your lease is in compliance with Alabama’s current Landlord-Tenant Act. Our attorneys are experienced in drafting, negotiating, and reviewing leases, as well as other legal documents. The landlord cannot discriminate against race, religion, or sexual identity (such as refusal to rent or increasing the price of rent for certain individuals based on the fact they are a minority or other group of which the landlord disapproves for personal reasons). The Act also enforces eviction rights for tenants who have violated their lease agreement. For example, even if the lease has been violated the landlord must give the tenant seven days to move out before they can file for an eviction if the violation was due to an omission of information or using misinformation on their rental agreement or if the tenant was in possession of illegal drugs, committed an assault on the property, or discharged a firearm (the later two with an exception of self defense or defense of another), as per Alabama code 34-9A-421. Knowing the law in all of its detail is not feasible for a tenant without a law degree, which is why consulting with an attorney can save you a headache, as well as the possibility of a lawsuit if you accidentally and unknowingly violate the Alabama Landlord Tenant Act or the Federal Fair Housing Act. The best way to protect yourself from future lease difficulties is by drafting a well- thought-out, comprehensive lease agreement that holds up in a court of law. 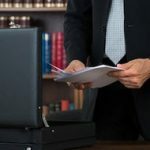 If and when it comes time for an eviction of a difficult tenant, a lease drafted or reviewed by an attorney will have the power to make the eviction possible. There can be countless loopholes and workarounds in a flaw-riddled lease that may end up making evicting a problematic tenant impossible. Common tenant problems that create the necessity for eviction, other than late or non-existent rent payments, include excessively loud tenants, smoking in non-smoking properties, pets in pet-free properties, and an inability on the tenant’s part to maintain the property during normal use (the tenants cause excessive damage). However, it can be difficult to evict a tenant if the lease did not explicitly ban smokers, pets, or call for the tenant to personally be responsible for fixing smaller wear and tear issues on the property. An experienced eviction and lease agreement attorney can help give you control in an otherwise powerless situation. Contact the law offices of Cloud Willis & Ellis, LLC today for a free consultation with one of our Birmingham attorneys. We can help you evict a problematic tenant by the book so that you do not face legal ramifications, or we can assist you in drafting a rock solid lease agreement so that you have the final say in what is and is not acceptable behavior on your property.